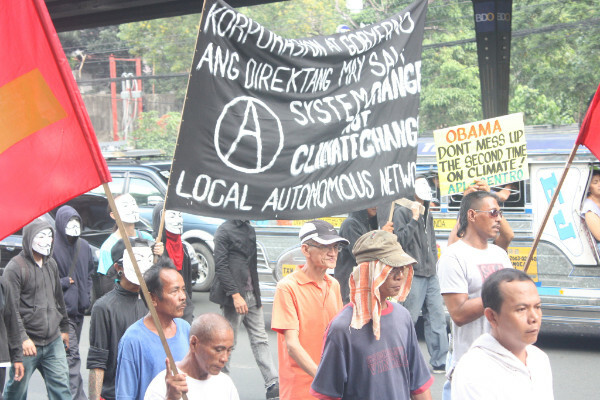 Anarchism and postcolonialism: Insights from the Philippine 'anarchipelago'. Forum on anarchism and postcolonialism this Sunday. Plus an anarchist picnic, anarcha-feminist reading group and more. Frantz Fanon predicted that if national liberation movements win independence but go no further than assuming the reins of the nation-state – an apparatus of rule inherited from Europe – then the resulting regimes will be no less despotic than the departed colonial masters. Before Fanon, too, there was the irrepressible Russian anarchist, Mikhail Bakunin, who argued, contra Karl Marx, that a post-revolutionary society that failed to do away with the state would only perpetuate tyrannies that Marx and his followers claimed to oppose. The twentieth century proved both Bakunin and Fanon right, thereby prompting new explorations into what revolution without the state might mean. This talk will offer a glimpse into one such exploration in the Philippines – a unique case, though very much in line with anarchistic resurgences everywhere – while also highlighting the complementarities between anarchist and postcolonialist perspectives. The talk will be given by Marco, an anarchist from Perth who has spent quite a bit of time with anarchists in Manila. Followed by discussion. All welcome. Free event. 2pm, Sun 27 September at Jura. Event on Facebook. 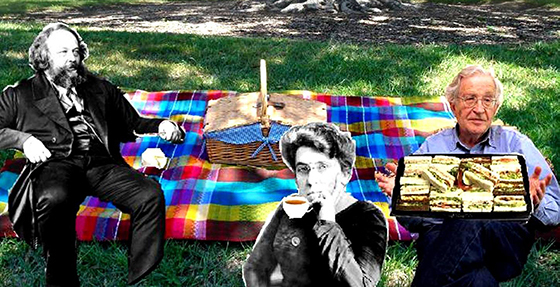 The Sydney Anarchist Picnic is on again from 11:30am on Saturday 26 September at Blacktown Showground. It's organised by Black Flag, Western Sydney Peoples Collective and is an opportunity for Sydney anarchists to be social and hang out and relax. People who are curious about anarchism are also more than welcome. It's bring a plate (if you're able) and there will also be fundraising for Black Flag. Over the last few months, a group of people from the Jura community have organised a series of readings and discussions in an attempt to develop our (pro)feminist politics. We've focussed in particular on readings on practical ways of improving our (particularly men's) behaviours and practices of consent, and on community accountability processes. After these meetings, we decided that our discussion of transformative justice would be enriched by developing our feminist politics more broadly. As an attempt to begin that process, we have chosen to read Quiet Rumours: An Anarcha-Feminist Reader. This month we are reading chapters 9,10 and 11, which reproduce the pamphlet, Untying the Knot: Feminism, Anarchism & Organisation. If you are a like-minded person and would like to participate in this reading/discussion group, please get in touch via email or personal message. People of all genders and sexualities are welcome and we would like this to be a safe space. We use a progressive speaking list, and try to let discussion be driven by wom*n's experiences of sexism and patriarchy. In the interests of honest disclosure, we should mention that the majority of us who have been participating so far identify as hetero cis men, with a smaller number identifying as wom*n, although at the last meeting the gender balance was even. Also, please note that this is not an open public ‘forum’ as such, but rather a smaller group with a commitment to ongoing discussion and development. Participants are all committed to turning up regularly (about monthly) and doing the readings. Untying the Knot and Quiet Rumours are available at Jura, or online. • 2pm Sunday 25 October: "Anarchism, Marxism and economics"
Anarchists have sometimes accepted Marx's economic analysis, though not Marxist politics. In recent years, especially since the GFC, there has been renewed interest in economic matters, and by some anarchists, in 'Marxist economics'. This has polarised opinion among anarchists as to the validity of Marx's critique of political economy, and its relevance to anarchism. This Forum will be a discussion between Paul Rubner and Sid Parissi of these matters, with reference to Ronald Tabor's book, The Tyranny of Theory: a Contribution to the Anarchist Critique of Marxism. Reading Tabor’s book is recommended, however not absolutely necessary. You’ll still get a lot out of the discussion if you haven’t read the book. It is available at Jura for $45. The event is free. Event on Facebook. 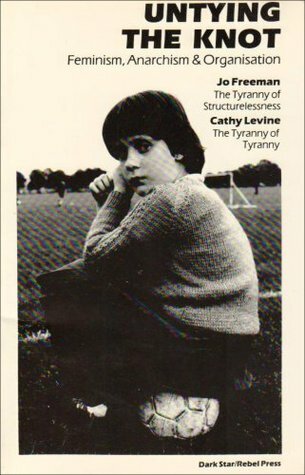 • 2pm Sunday 8 November: "Poetry, Activism and Anarchy" – TT.O. At this Red and Black forum, Melbourne-based anarchist and poet TT.O. will traverse some of his experiences as an activist-poet. He will showcase some of Jas H. Duke’s poetry (the Anarchist poet) 1939-1992, and talk about his life & involvement in England & Germany including his time at Freedom Press. He will also talk on other strains of Anarchist-Artist movements in Melbourne, including the Modernist push by the people out at “Heide”. TT.O. will explore some of the activity surrounding “925” the workers poetry magazine (the biggest in the Country spanning 5 years 3,000 copies towards the end) and collective effort press’s impact on Australian culture. Free. Event on Facebook. Help us organise our library! We've been working hard adding new items to our library, as well as organising and sorting the collection. We'd love you to come and check it out! Become a member, borrow books, or better still, come and help us sort books! The next library working bee is from 12pm-5pm on Sunday 11th October. Can you help Jura on social media? Thanks for reading our email newsletter! We think this is the best way to stay in touch. However, we do also have Twitter and Facebook. While we have many reservations about Facebook, with its restrictive editorial control and capitalist agenda, we're also committed to spreading anarchist ideas through many different forums. We're up to 1,869 followers on Facebook. Can you help us get to 2,000? We'd really appreciate it if you would invite your (Australia-based) friends to like us. You could also invite your friends to our events, like and share our posts, and better still, get notifications when we post (because Facebook usually only shows our posts to 1 in 10 of the people who have liked our page.) To do this, visit our Facebook page, hover over the 'like' button and click on 'Get notifications'. Then you'll get notified when we post and you can help us spread the message. Whenever you like or share it helps boost our voice. Thanks! You're receiving this email because you signed up to the Jura contact list. We send about one email per month. If this email goes to your junk mail or 'promotions' tab, please move it into your inbox and save our email address. Street address: 440 Parramatta Rd, Petersham, 2049. Mailing address: PO Box 3032, Petersham North DPO, NSW, 2049, Australia. If you're making a special trip to visit us, it's a good idea to call beforehand to double-check that we're open. As we're all volunteers, occasionally we can't open as planned.